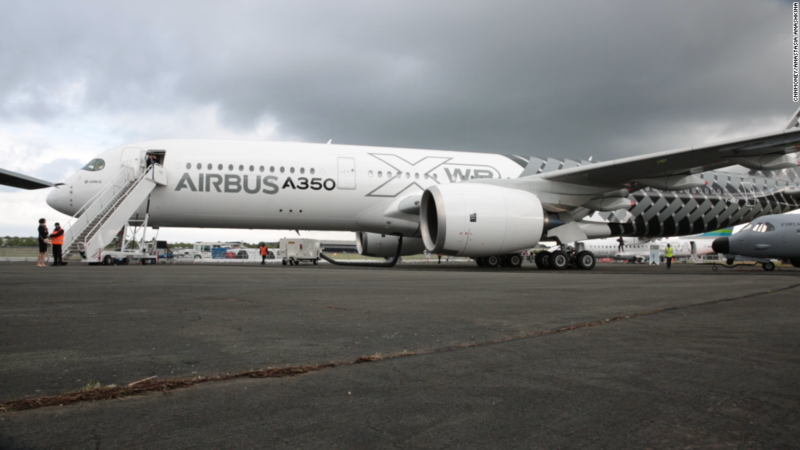 China's first big passenger jet is set to take to the skies this week. 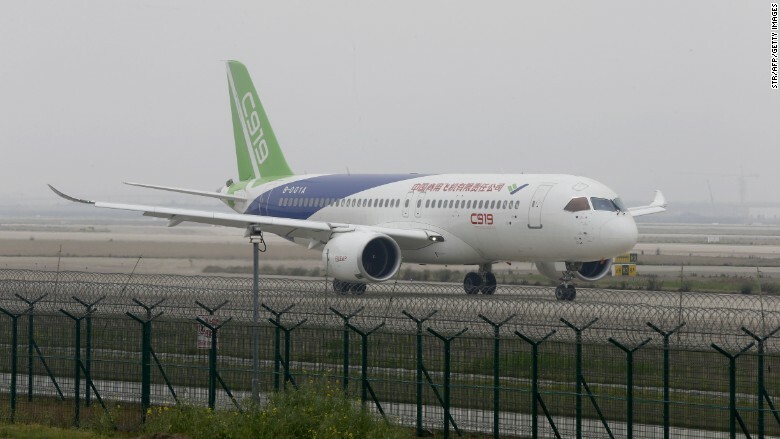 The first test flight of the C919 airliner is scheduled to take place Friday from Shanghai Pudong International Airport, China's official news agency Xinhua reported Wednesday. With the C919, China is aiming to become one of the world's top makers of large commercial aircraft. The 168-seat plane is roughly the same size as Airbus's A320 and Boeing's 737-800, which are the most popular airliners on the planet. The C919 completed its final ground trial less than two weeks ago, demonstrating it can safely stop on the runway if something goes wrong. The maiden flight will be a key milestone for the plane's manufacturer, Commercial Aircraft Corporation of China, or Comac. But the C919 still has a long way to go before it will be ferrying passengers. The aircraft is likely go through months or years of demanding certification tests, and meeting safety standards might require design changes. Comac will also need to gain the trust of airlines in China and beyond by showing the jet can operate efficiently and reliably on scheduled flights. Getting the C919 to this stage has taken a long time. China's state-owned airlines first signed up to buy the plane in 2010, and it was initially slated to enter service last year. But the prototype wasn't unveiled until November 2015, and the program has been beset by technical delays as China has gotten to grips with airliner development. The C919 carrying out a ground test at Shanghai Pudong International Airport in April. Even companies with decades of experience such as Boeing (BA) and Airbus (EADSF) have faced major delays on high-profile projects, underscoring the difficulty of bringing new jets to paying passengers. The C919 is set to put China among the few nations that have developed large homegrown airliners -- the U.S., Russia, Brazil, Canada, the U.K., France and Germany. But so far, demand for the jet has remained local: orders are almost entirely from Chinese carriers for domestic flying. That could still add up to a lot of business: China is on track to surpass the U.S. by 2030 as the world's largest commercial aviation market.